In a last ditch effort to save his career as a sports agent, JB Bernstein (Jon Hamm) concocts a scheme to find baseball's next great pitching ace. Hoping to find a young cricket pitcher he can turn into a major league baseball star, JB travels to India to produce a reality show competition called "Million Dollar Arm." With the help of a cantankerous but eagle-eyed retired baseball scout (Alan Arkin) he discovers Dinesh (played by Madhur Mittal from "Slumdog Millionaire") and Rinku (played by Suraj Sharma from "Life of Pi"), two 18 year old boys who have no idea about playing baseball, yet have a knack for throwing a fastball. Hoping to sign them to major league contracts and make a quick buck, JB brings the boys home to America to train. While the Americans are definitely out of their element in India - the boys, who have never left their rural villages - are equally challenged when they come to the States. As the boys learn the finer points of baseball -- JB, with the help of his charming friend Brenda (Lake Bell) -- learns valuable life lessons about teamwork, commitment and what it means to be a family. Special Features: Training Camp: Actors Suraj Sharma and Madhur Mittal faced the same daunting challenge that their characters Rinku and Dinesh did—learning how to pitch a baseball. Their Story: The real JB Bernstein, Rinku and Dinesh explore the legacy of the Million Dollar Arm contest and its impact on the lives and aspirations of children in India... and their own lives as well. Million Dollar Music by A.R. Rahman: The Oscar-winning composer (Best Original Score, Slumdog Millionaire, 2008) talks about creating music that encompasses two worlds—India and the U.S.
Disney is famous for their live action sports films. They all seem to be based on a true story and always feature a team or athlete overcoming some sort of obstacle and attaining their dreams through sports. Everything from 'Remember the Titans', 'Miracle', 'Invincible', and 'Cool Runnings', all of these films pull the heart strings, have some great comedy, and leave you feeling satisfied by the end of the film. You walk away feeling like you watched something great. These films are inspiring, fun, and entertaining. And Disney's latest effort in this sub-genre is no different. I'm of course talking about 'Million Dollar Arm'. This film has one hell of a creative team. Directed by Craig Gillespie ('Lars and the Real Girl' and the remake of 'Fright Night') and written by Tom McCarthy ('The Station Agent', 'Up', and 'Win Win'), this dynamic duo have concocted a true life story about a sports agent who finds success and the meaning of life later in his career. Despite some of the usual cliches and minor amount of cheese that usually accompanies these types of films, 'Million Dollar Arm' plays out quite well with it's great script and excellent acting. Jon Hamm hangs up his 1950's advertising suit and goes more casual with a baseball cap as he plays real life JB Bernstein, a sports agent who is on the verge of signing someone very big. Bernstein's previous client list have been all the greats, but recently, he is struggling to keep afloat. When his new big client leaves him for another agency, he and his long time friend and business partner Ash (Aasif Mandvi) look for new pastures and a way to stay relevant. While watching cricket and a reality talent show, Bernstein gets the bright idea to head to India and look for the next big baseball player. The two pitch their idea of finding cricket players over in India, coaching them to play baseball and forming a reality show to see who wins the chance for a major league baseball contract. They find an investor and the two are off overseas to scout players. The best of the bunch are Rinku Singh (Suraj Sharma) and Dinesh Patel (Madhur Mittal), who have quite the talent, but don't come from the happiest of places. Meanwhile, JB is learning that there is more to life than money and baseball as his neighbor Brenda (Lake Bell) and him grow closer. They even bring in a former ball player turned coach played perfectly by Bill Paxton to coach these new players. 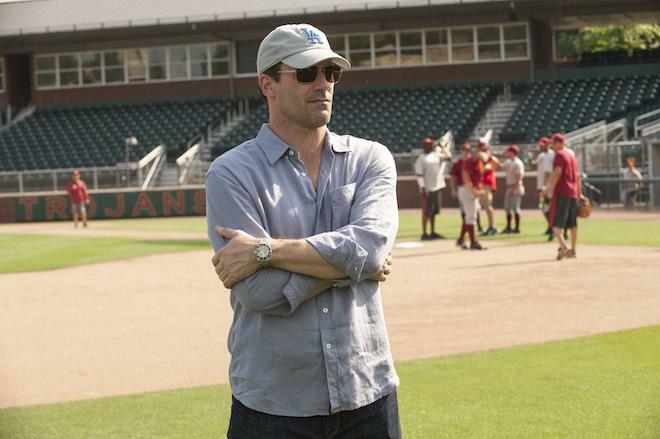 'Million Dollar Arm' has a great mix of ingredients. It mixes the heart and soul of a story with some good family fun humor with an inspiring true life adventure. There are a few instances of some cliches and stereotyping of its characters and situations, but it's always quick to get back to the point and goodness of this film. 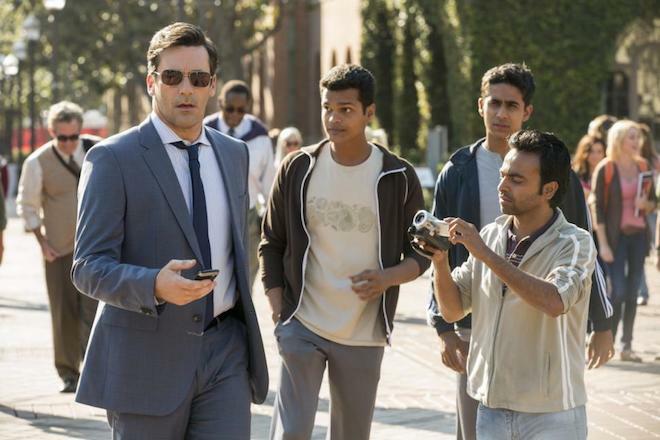 Hamm does a great job as a man struggling to find out what means most in life. And Sharma and Mittal are the shining stars here and you feel like you go on this rough, yet fun journey with them. Like the rest of the Disney sports movies before this one, it will leave you satisfied, full of joy, and even a bigger fan of baseball. Training Camp: Actors Suraj Sharma and Madhur Mittal faced the same daunting challenge that their characters Rinku and Dinesh did—learning how to pitch a baseball. 'Million Dollar Arm' comes with a good 1080p HD transfer presented in 2.39:1 aspect ratio. This image looks great from top to bottom. It's a straight-forward good quality image. Nothing more, nothing less. While some of the landscapes here look beautiful and the closeups look very vivid, there isn't that top notch quality with this picture, meaning this won't go in your video demo pile of Blu-rays. That being said, this picture looks quite good. The detail is always sharp and vivid with great closeups that reveal facial stubble, individual hairs, and makeup blemishes quite nicely. It just doesn't go the extra mile that we have come to see in the past from Disney. Colors are very warm and natural, and inviting with great greens on the baseball field and amazing browns and oranges. Black levels run deep and inky most of the time, but from time to time look a little muted. Skin tones are very natural and balanced as well. There was some minor video noise, but no issues with banding or aliasing. Again, this video presentation won't win any awards, but it's a perfect fit for this film. 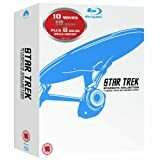 This release comes with a good lossless DTS-HD 5.1 audio mix and much like its video presentation, it won't blow your ears out with loud explosions or gunshots from every surround speaker. In fact, it's a rather light-hearted audio mix, done with easy and grace. Even your grandparents will enjoy it and not tell you to turn it down. Sound effects are well balanced and on the light side, even when we are in arenas or baseball fields. Ambient noises sound nice as well. The score provides some of the biggest sound moments in the film and always adds to the emotion of each scene. Dialogue is always crystal clear and easy to follow, and perfectly situated on the center channel. This mix is free of any pops, cracks, and hissing, leaving this better great, yet light-hearted sound presentation with solid marks. Training Camp (HD, 7 Mins.) - Actors Suraj Sharma and Madhur Mittal discuss their training in baseball for the film. In addition, Mike Ribaudo and Ahmed Yusug also talk about training and coaching the actors to prepare them for the roles. Their Story (HD, 3 Mins.) - In a very short extra, the real life people who inspired this film, talk about the events that were portrayed. Deleted Scenes (HD, 3 Mins.) - Three deleted scenes are found here, none of which add anything significant to the final film. Million Dollar Music by A.R. Rahman (HD, 3 Mins.) - The composer of the film discusses his inspirations and work on the movie. Outtakes (HD, 2 Mins.) - Your standard missed lines, laughter on set, flubbed cues, and general goofiness. Alternate Ending (HD, 1 Min.) - This ending has a zombie apocalypse in it. I'm just kidding. I was just making sure you were paying attention. This alternate ending is worth looking at, but the theatrical version was the right choice. 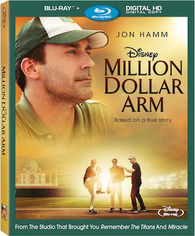 'Million Dollar Arm' is a very entertaining film that keeps Disney's track record of inspiring sports movies at the top of its game. The mix of heart and comedy is perfect and the acting is great all around. Plus it will get you excited about baseball all over again. The video and audio presentations are both very good and the extras are entertaining, but short. This is a fun film for the whole family to enjoy year after year, this this release comes recommended.